Most of the country is apparently covered in snow right now, or so the news tells me. Here is Arizona, we are flirting with Spring. Indulge me for a minute; this is the time of the year we get to brag to the rest of the country. The temperatures have been in the high 70's and it could not be more beautiful outside. Trees are blooming, birds are singing, and the sidewalks are filled with bicycles, scooters, skates, you name it. 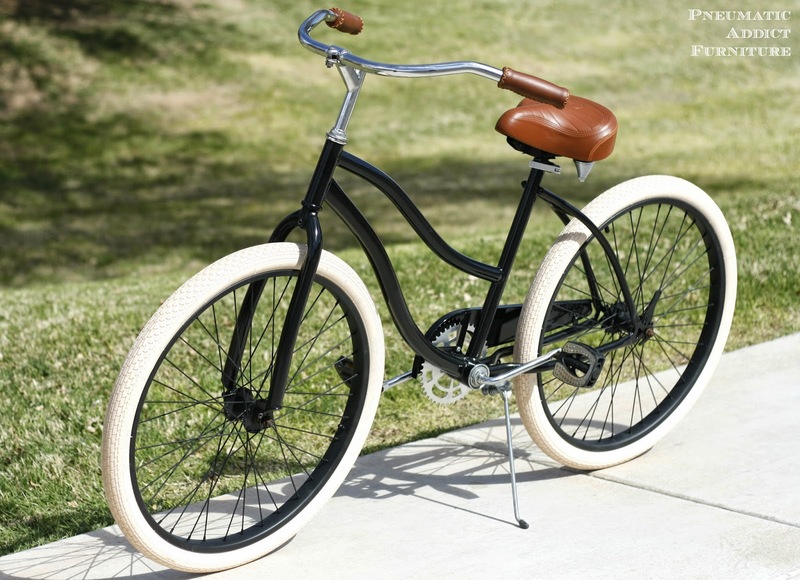 With this beautiful weather, I've been begging hinting to my husband that I want a bicycle. For this past Christmas, in lieu of gifts the husband and I decided to put money towards debt. Christmas morning came and my husband broke the rules. He surprised me with a new bike! Okay, not technically new. In fact, he pulled it out of a dumpster. Aren't I such a lucky woman? In all honesty, this shows how much he really does loves me. He found a way to give me a gift without spending money, and he knows me well enough to know that I would have so much fun customizing a bike to make it my own. She just needed a little love. Okay, maybe a little more than a little. The first step was to take everything apart. 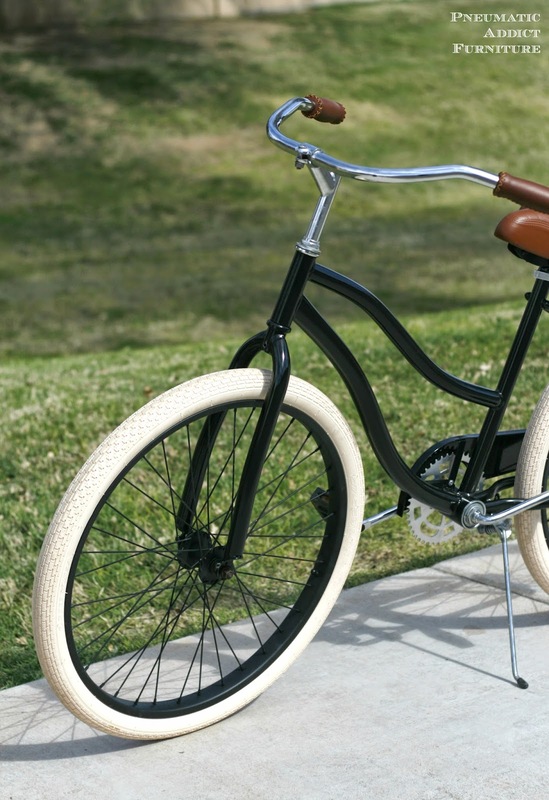 Pull off the fenders and chain guard, throw out the single, flat tire and remove the rims. After that, I proceeded to spend some quality time with a razor blade. About an hour and a half later, all the baked on, desiccated decals were gone. 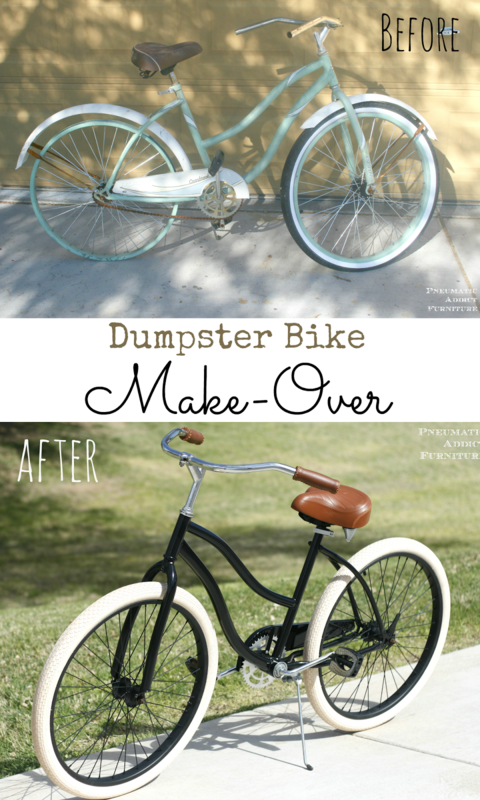 If you decide to make-over an old bike, odds are your biggest problem to tackle will be rust. Luckily, living in a desert, we don't get really deep, degrading rust too often. The rust on my bike was primarily on the surface. That was easily tackled by soaking the offending pieces in *CLR and rubbing with some extra fine steel wool. Before painting, I sanded all the parts down with 400 grit sandpaper and wiped off the residue with *TSP substitute . Next, came a coat of primer and more sanding to remove any texture. 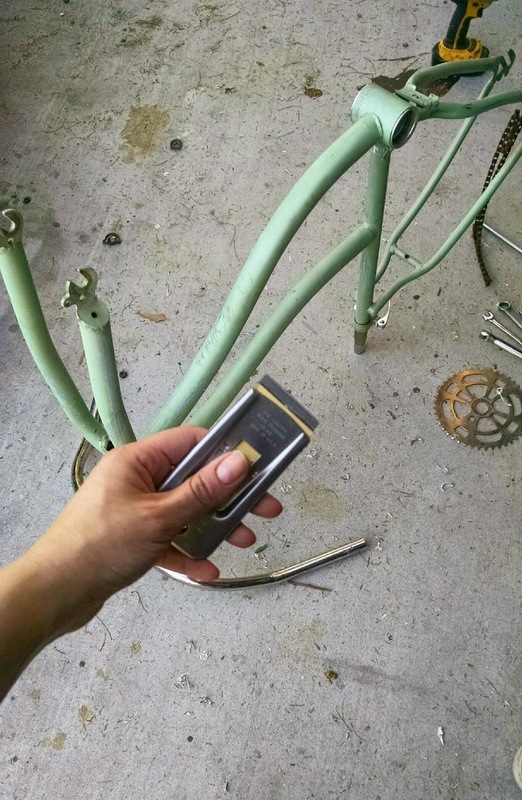 For the paint, I chose classic black gloss, *Rustoleum spray paint. Spray paint gets a bad rap. 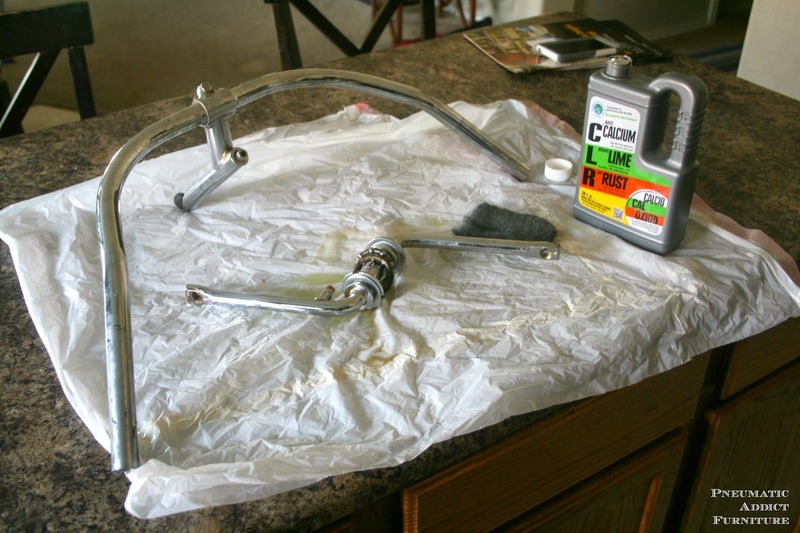 Although we have all seen some bad spray paint jobs, and it may not be ideal for all projects, spray paint is simply a quick-drying, oil based enamel. Oil based enamels are extremely durable. Perfect for metal, outdoor use, and bicycles. 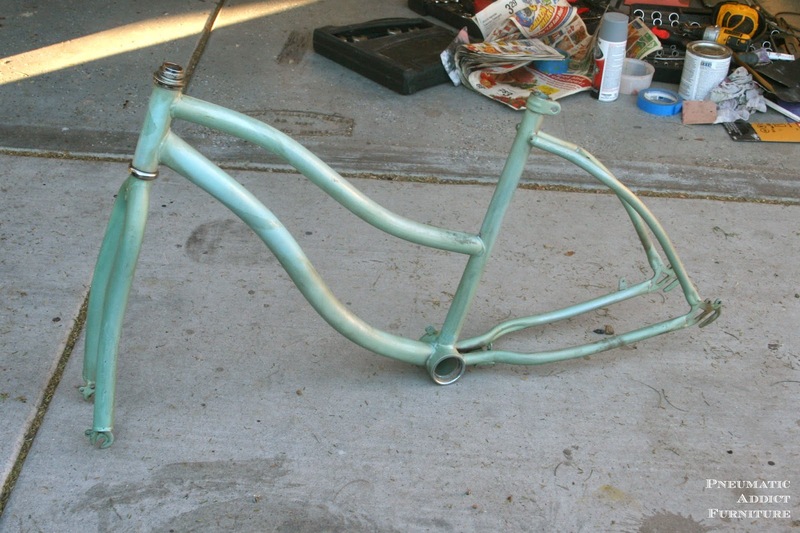 The frame, fenders, and chain guard received 3 coats of paint, followed by 2 coats of high gloss laquer. The rims got their own special treatment, which I'll share in just a bit. In the meantime, I hit the clearance section of a local bike shop and picked up a pair of cream tires and a new seat. I was able to find matching, *faux leather grips on Amazon . A couple days later, I started to put my new toy together. As I started to assemble, I discovered that I really liked the look of the bike, sans fenders. I'm in love with the contrast between the black frame and cream wheels, and the fenders took away from that. So, it made my assembly job easier. Here's how she looks in her fully restored glory. For the rims, I was worried about chips. Even the best paint can chip when rocks are perpetually thrown at it. In lieu of paint, I chose to spray 3 coats of rubberized spray paint (A.K.A. Plasti Dip). It dries fast and is quite a bit more flexible than regular paint, making it more chip resistant, explaining why people are "dipping" almost anything these days. In fact, my husband is preparing to *Plasti Dip his car. It's pretty cool stuff. I love the velvety feel of the Plasti Dip once it's dry. Like velvet. So, we Arizonians may be basking in the warm sun now, while the rest of you freeze, but in a few short months, we will be steering our cars with over mitts and you will be having picnics in the park. Till then, I'll be enjoying my present and getting a bit of exercise. Seriously, I cannot adequately express my love of this bike. 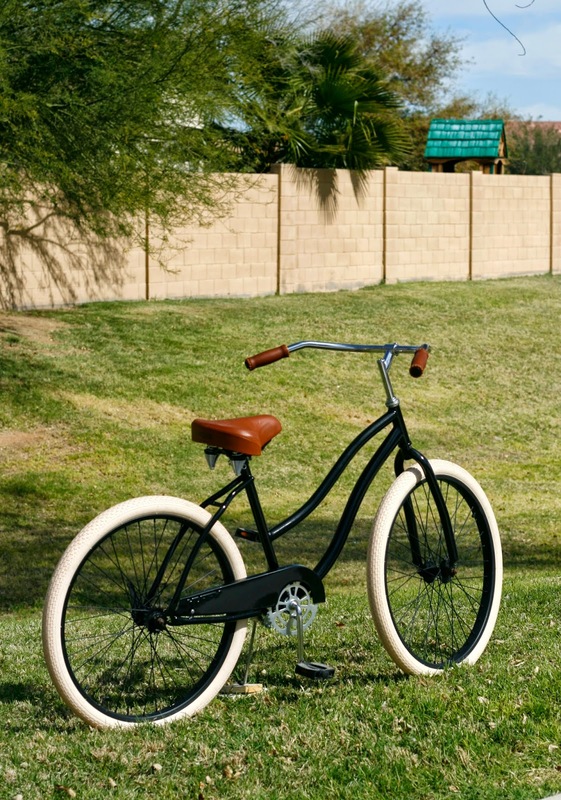 It looks like you should be riding it over cobblestones in a little town in the south of France. I die. Haha. Thanks for the applause! 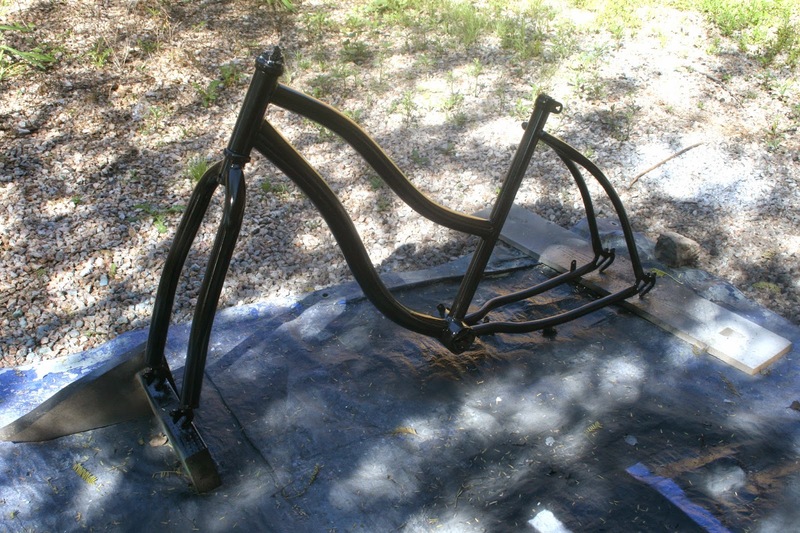 Oooh so pinning this, just picked up my own wreak of a vintage bike off craigslist for 35.00 I plan on refabbing! That's so fun! I want to see when you're all done! Awesome job. I like the simplicity of it. Have fun cruising around. 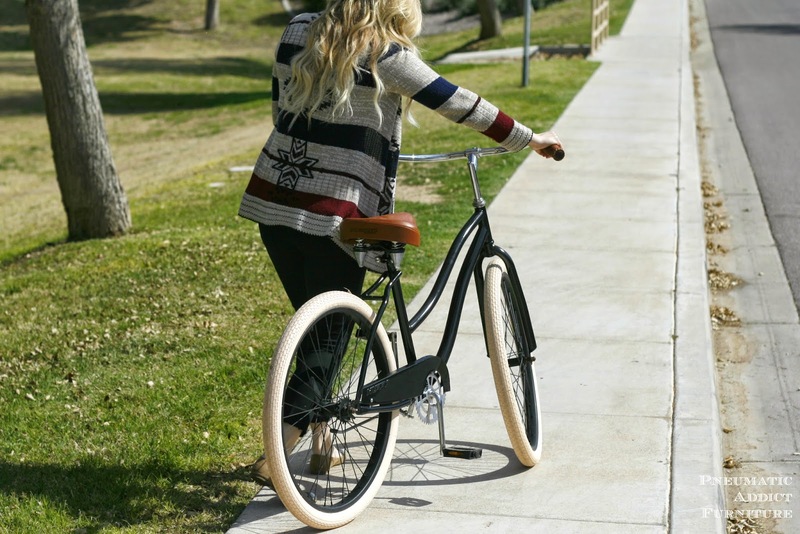 Your fork is on backwards - turn it around and the bike will be less twitchy. Otherwise, nice job. So glad someone told her....im like GAHHHHHHH the forks on the before and after are round the wrong way (look at the mudguard!)....dangerous. I LOVE your color choices! 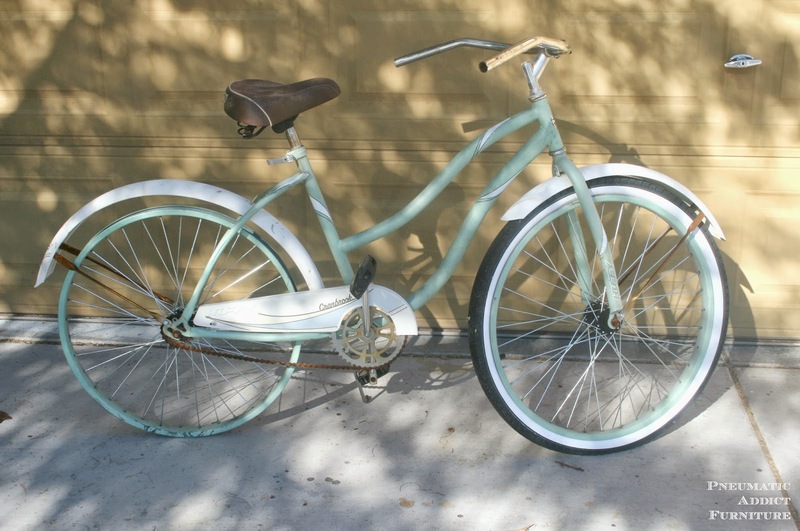 I actually just purchased a bike off craigslist I want to rehab. Can you tell me what brand your seat is?? Perfect color! Hi Christina. Thank you! I got my seat from a small local shop. I've looked all over for a brand but couldn't find one. Sorry I couldn't help! I love the way the bike came out...but I was wondering why the fork is mounted backwards? Such a cute update!! 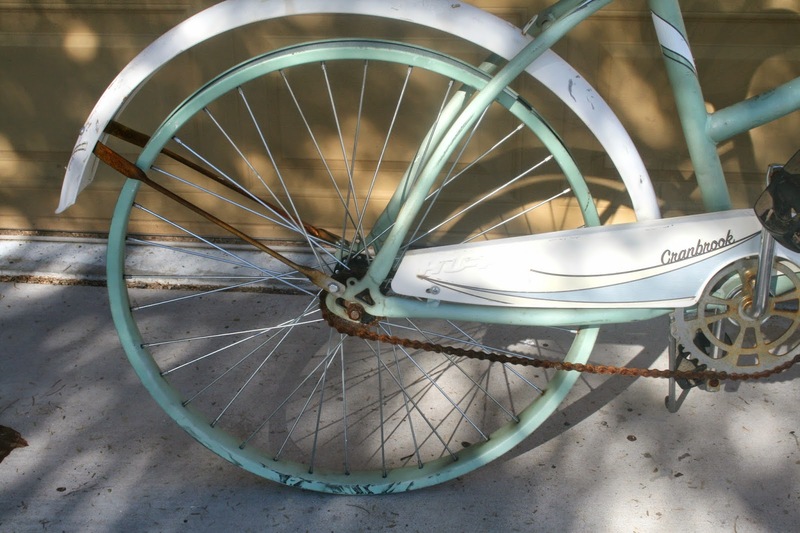 I just found a vintage bike in need of a little TLC. Looking forward to similar results!! I love it. Very inspiring. 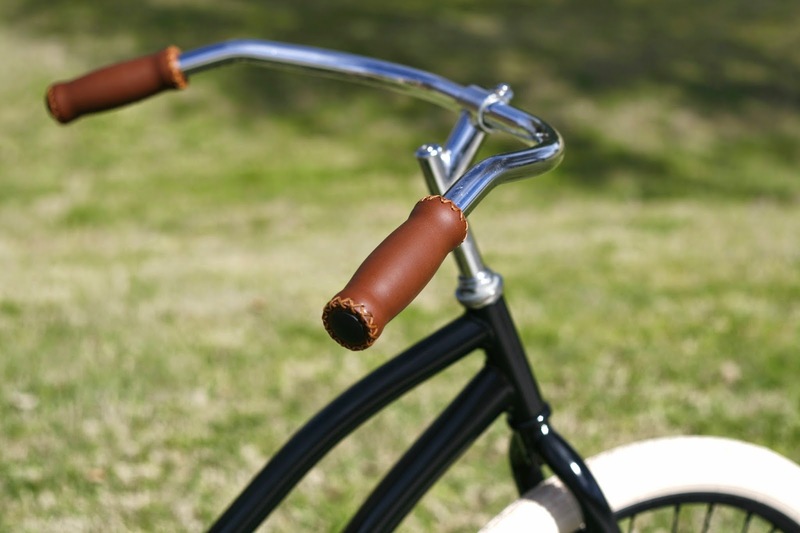 I'm sorry, but I have to ask, don't you have the stem and handlebars backward? Shouldn't the forks bend out forward? nice job, i think your fork is on backwards and needs turned around.